POLITICAL TIDBITS: Senatorial top-notcher Grace Poe figures early in political scene, but mom Susan Roces cautions against it, telling her to prepare herself first. A sensible advice that then Sen. Noynoy Aquino didn't get when his mother Cory's demise suddenly thrust him into the arms of destiny. Senatorial top-notcher Grace Poe figures early in political scene, but mom Susan Roces cautions against it, telling her to prepare herself first. A sensible advice that then Sen. Noynoy Aquino didn't get when his mother Cory's demise suddenly thrust him into the arms of destiny. Over the holidays, I ran into a former lawmaker who told me he has kept in touch with his local politicians as they would come into town, to keep abreast of developments in their province and gauge the sentiments of the people there. To the question of who seems to be figuring in people’s minds for 2016, he was amazed to find that among the names that invariably came out was that of Sen. Grace Poe. Actually this veteran pol shouldn't be that surprised, for Poe came out the topnotcher in the May senatorial race, even if some PCOS fluke showed that her numbers were quite bloated. At 8 pm. of election day last year and right after the close of precincts, the Comelec's Transparency Server registered 12 million votes for Poe--corresponding to a 23% output while only 1,410 PCOS machines had yet transmitted, or only less than 2% input! Then, in the final Comelec report a few weeks later, Grace Poe's lead of 20.7 million votes was suddenly reduced by 4 million votes, as the national vote total was shrunk from 39 million to 32.6 million. All these had to be done, as otherwise, voter turnout would have been 94 million---or 42 million more than the registered voters! Such was the hocus-pcos magic of the Comelec count. 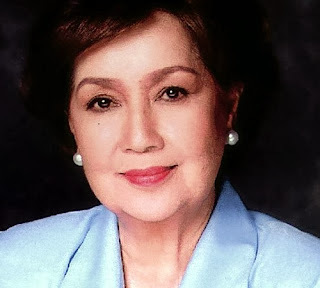 Despite the Comelec's aberrations unexplained to this day, however, Poe was expected to be a sure topnotcher---due mainly to her reflected glory as the daughter of the ever-popular and beauteous drama queen Susan Roces and FPJ who, until now, GMA bashers like to portray as a victim of electoral cheating (exit polls showed GMA winning and it was a fact that FPJ's campaign collapsed in the last two weeks before the elections, but it's no matter to GMA bashers---to them he won). Moreover, it turned out as a pleasant surprise that aside from a name that had always smelled like roses to the masa, the comely neophyte politico sported a political science degree from Boston College in 1991. The politician I talked to about Grace Poe's popularity wasn’t quite prepared for his local followers' report about how she seems to be edging out veteran pols like Mar Roxas and Jejomar Binay. But this phenomenon appears to be less Grace's own merit than the people’s rejection of tired old political names. The electorate right now is in awful need of---in fact, desperate for--- new faces, fresh faces. While the Susan-FPJ magic helped Grace Poe top the senatorial polls last year, it now appears that she’s holding her own in the Senate. For one thing, she's lucky enough---and smart enough--- to sponsor the popular Freedom of Information bill as chair of the Senate committee on Public Information. In addition she's also sponsoring another populist bill that seeks to provide free lunch for public school kids. Think of all the moms across the nation delirious with joy about this bounty. Moreover, Grace always speaks in quiet non-hysterical tones and her few remarks are always well-coached and sensible---in sharp contrast to the Ilongga Jedi who spews spitfire and constantly craves attention. Folks seem to like Grace's put-together in her staid suits and pulled-backed hair. Mom Susan Roces, however, is said to be realistic about her daughter's political fate. According to a close friend of the Poe family, Susan, who indubitably has called the shots in the family all these years---she is said to have been the one who gave the final ok. to FPJ’s running for president in 2004 vs. GMA--- is sensibly cautioning Grace against being stampeded into a political scenario she’s not prepared for. One politico said to be recruiting her as his running mate in 2016 is Sen. Chiz Escudero, who's unabashed about his presidential ambition. Then too, followers of Presidential Assistant on Reconstruction Ping Lacson, whose high-profile job of fixing the devastated Visayas is also predicted to position him for the big race, are eyeing the neophyte senadora to run with him. Susan Roces’ advice to her daughter is sensible, for if destiny would indeed smile on the latter, it’s better if this happens when she’s truly prepared for it. This was the problem of then Sen. Noynoy Aquino. He was totally unprepared for his appointment with Destiny, when his mother’s much-covered illness and death from cancer in early September 2009 thrust him into the sympathy of the Cory-adoring public---forcing former Trade Secretary Mar Roxas, who had long primed himself for that biggest prize, to withdraw in Noynoy’s favor and settle for No. 2, only to lose that post too to Jejomar Binay. The presidency was farthest from Sen. Noynoy’s mind when he joined Congress in 1998 as representative from Tarlac, and it’s no secret that mother Cory was only too happy to see her son appointed by Speaker Jose de Venecia as deputy speaker and eventually win a senatorial seat in 2007. Born with the proverbial silver spoon in his mouth and carefree and easy-going in the House, the young legislator from Tarlac was remembered by a colleague as customarily retreating to the rear of the session hall after the roll-call and indulging in his favorite Game-Boy. Lady legislators recall Noynoy as coming around after the sessions to inquire which restaurant the barkada would try that night. This supposed honesty has been questioned by critics in instances such as when young Aquino and his relatives put up a security agency bearing his initials, that listed as its address his President-mother’s official residence; the agency was reputed to have cornered fat security contracts with the biggest government offices at that time. To this critic it had seemed more like naivete on his part that made him vulnerable to the importuning of his shrewd relatives (to appease relatives over Hacienda Luisita, Star columnist Chit Pedrosa recently asserted, P-Noy went to the extent of buying legislators' votes to impeach and convict CJ Renato Corona, who had led the Court in a 14-0 vote to redistribute the hacienda's lands to its tillers). But this same simplicity of mind raised other concerns when he became President, such as his capability to make correct decisions. This began with his inability to appoint more qualified officials and the hit-and-miss manner of his administration led Joker Arroyo, his mother’s Executive Secretary, to label Noy's Cabinet the “student council” and it mercilessly stuck. Super-typhoon Yolanda merely confirmed its glaring ineptitude. Writer Glenda M. Gloria, in her recent article titled "President Aquino's reality check," zeroed in her analysis of the Noynoy presidency on its "analysis-paralysis" and his tendency---like most inexperienced executives---to appoint only officials he had known in the past, such as Voltaire Gazmin (and I might add, Airport Manager Jose Honrado), even though they were woefully inadequate and unfit for their jobs. After one year P-Noy appointed his defeated running-mate Mar Roxas to his old post at DTI's helm where his Wharton technocrat background shone, and Mar pushed the business process outsourcing industry that he had keenly shepherded in Gloria Macapagal Arroyo's administration to even greater heights. But with the presidential elections of 2016 in mind and upon the sudden demise of DILG Secretary Jesse Robredo, P-Noy moved Roxas to the crucial DILG post; the Araneta scion, however, had few people skills to marshal in that job and it showed painfully in the Zamboanga and Yolanda crises. If P-Noy had difficulties picking officials he could be comfortable with, it proved tougher to fire them, as Glenda Gloria also noted. Under normal circumstances Defense Secretary Volt Gazmin would have been fired as NDRRMC Chief for the shocking disarray exhibited by the military---which was missing in action in the Visayas in the first week and a half after Yolanda. P-Noy can’t seem to fire anyone, e.g., Virginia Torres, Rico Puno---the list gets longer and longer---until there was no other choice but to painfully let them go under very controversial circumstances. The birthing pains of an administration that hasn't grown and matured have been woefully prolonged and the nation is suffering terribly as a result. The last straw for many seems to be the fact that over 1,000 corpses have remained unburied in Tacloban nearly a month after Yolanda struck, due to government's failure to get their DNA. The frustration among Filipinos has kicked off calls for various emergency relief courses---P-Noy's resignation and snap elections, or the drafting of a new crowd-sourced Constitution that would cause a shift to the parliamentary system. At least, it's being reasoned out, simple-minded and inexperienced politicians won't get to first-base in a parliamentary system where members are judged by their peers. But that if by some fluke of destiny this happens, the PM could easily be removed with a no-confidence vote.